The beatboxing samples used in this study are examples of TyTe’s articulations of sounds made on a particular occasion. They do not represent the beatboxing of other artists and the conclusions drawn are relevant only to Tyte’s beatboxing. A further study involving a larger sample of beatboxers, more beatboxed sounds and more examples of each sound by each beatboxer would provide more reliable results, however this would be a huge operation and it would be extremely difficult to find enough beatboxers at a common ‘level’ of beatboxing expertise and with similar enough styles of beatboxing to compare. Sounds made are unique to the beatboxer who makes them so it is difficult to compare sounds from multiple beatboxers accurately. The data sources in this study varied in their ‘purenesses’. Data from the TR808 was made by a machine and recorded by a machine so there is no possibility of interference from background noise. However, the initial recording of beatboxed sounds is necessarily through a free field subject to background noise and air moving against the surface of the microphone. Discrepancies of this type cannot be helped as, if the electronic sound was played through speakers and then rerecorded through a free field, the quality of the speakers would also affect the final sound. Recording conditions cannot be completely identical. 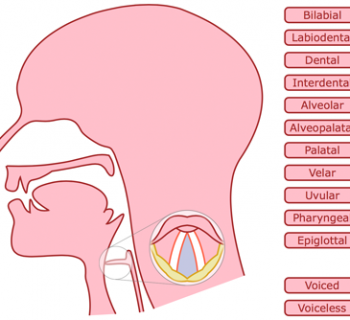 This study makes use of instrumental analysis which tries to be speaker orientated and work out exactly what is going on in the mouth, however, it cannot be totally objective because machines are designed by people with preconceived ideas of speech and what goes on in the mouth. The measurements taken in this study were kept consistent as far as possible, however in some places it was unclear as to where certain boundaries should be drawn. Where this is the case, it is stated in the text. It is important to consider what constitutes an ‘accurate’ imitation of a drum machine sound. Since no previous research has been carried out in this area as there is no control for comparison. There is also no scale of accuracy upon which the results can be placed. A study comparing speech, beatboxed sounds, electronic sounds and real instrument sounds would give some form of comparison, as the accuracy with which a drum machine sound imitates a real percussion sound could be used for comparison, but meanwhile there are no specific boundaries that constitute ‘an accurate imitation’. There are many issues brought up when studying the perception of speech that could theoretically be applied to the perception of beatboxing. For example listeners’ adjustment for rate in speech processing, (Part 1.2). A viable study would be to see whether this rate adjustment is also relevant to beatboxing. Are beatboxed sounds always the same duration no matter what the tempo of the music, or do they behave like speech sounds and change as the tempo changes? A study like this would allow us to make or discard parallels between speech and beatboxing and draw further conclusions about the production and perception of beatboxing as speech or non-speech. 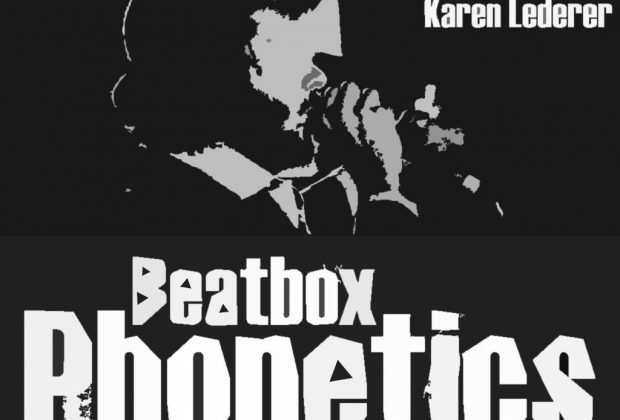 It would also be interesting to carry out a perceptual investigation into whether beatboxed sounds are perceived in the same way when they are not identified by their precise timing and rhythm as they are in a beatboxed setting. If they exist without music, are they still interpreted as extraneous sounds or are they perceived as odd realisations of spoken phonemes? The results of this study suggest that the more similar a sound is to a phoneme of the beatboxer’s mother tongue, the less accurately s/he will reproduce it as a drum sound. 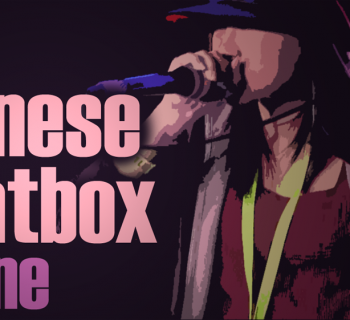 A viable study would be to assess the differences between the beatboxing of speakers of varying languages and how the phonemes of their languages affect the final beatboxed sounds. Furthermore, it would be interesting to see whether beatboxers with command of a number of languages produce more or less accurate imitations of drum machine sounds than those who speak just one. 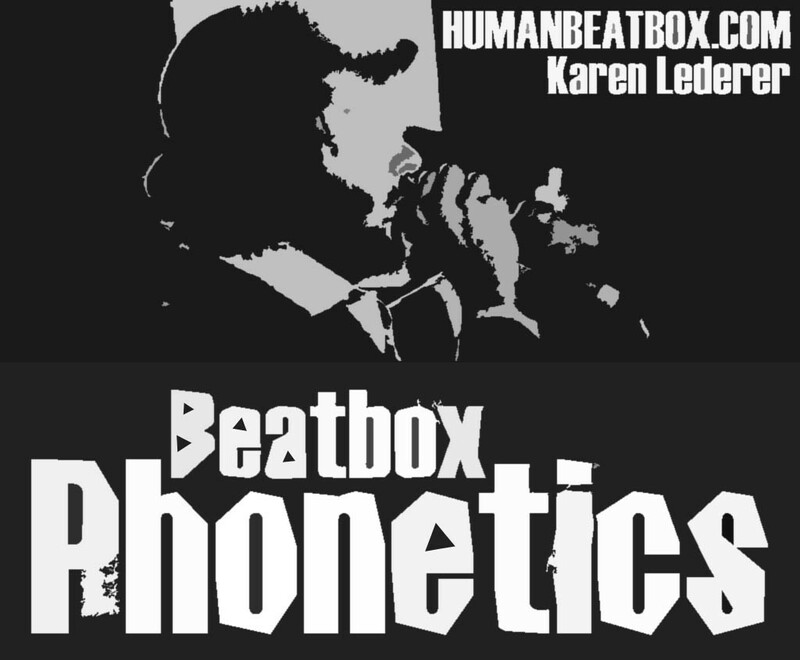 There are many avenues which can be investigated in relation to the phonetics of beatboxing. This study has hopefully provided an introduction to the subject which can be greatly expanded and improved upon in the future.